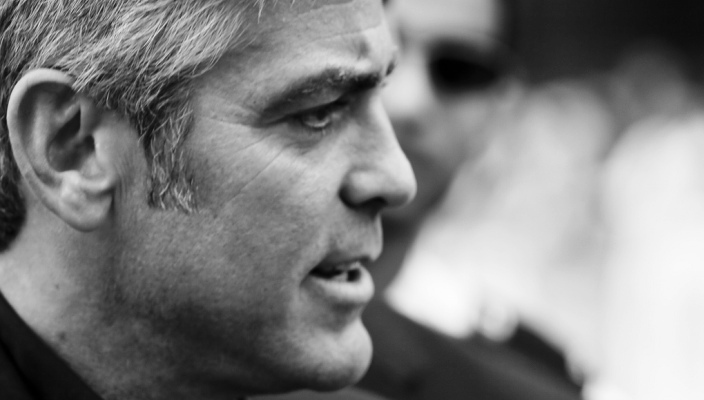 Men like George Clooney may never get married. Are they still good partners? George Clooney’s ex-girlfriend Stacy Keibler recently got married, only eight months after she and the actor/director split—so, clearly, marriage was something she wanted and cared about. Given the fact that many bachelors like Clooney are known for not being interested in settling down permanently, it’s a wonder that any women embark on relationships with them. What makes some women ignore the warning signs and take a chance on such a bachelor anyway? They must see that blinking red light and yet they drive right through it. And what do you need to know when you encounter a bachelor like Clooney, Leonardo DiCaprio, or any number of guys in your own circles? There’s no question that anyone can be swept off their feet. Even if there’s a part of you that is aware that a man is unlikely to commit long-term, the fact that he is willing to commit for now can be a hard temptation to pass up. This is especially true if the is attractive, successful, or charismatic, or able and willing to rev up your life with exciting dates, vacations, and enticing professional or personal connections. There can be a real gain when you hitch your wagon to such a bachelor, but the benefits usually don’t last and can therefore come with the price of eventual disappointment or heartbreak. There’s also the possibility that you believe you are going to be “The One” who will lead this bachelor into the institution of marriage. This idea that you are special and, consequently, things will turn out differently for you can be a powerful idea. It’s a key reason women often find themselves deep in a relationship with a man who has long resisted walking down the aisle, and who may never do so. Such a man may in fact be willing to remain in the committed relationship indefinitely. However, typically the shelf life expires when the push for marriage enters the picture and becomes part of the relationship equation. How then can you protect yourself? The most important thing is to go in with your eyes wide open. Before you get in too deep really, consider a potential partner’s past. How many relationships has he had? Has he ever been married? If so, how long did it last and what are his thoughts about remarriage? Clooney, for example, has been completely upfront about never wanting to get married again. With someone like him, what you see is what you get. Determine before you dive in if getting married and having a family is really your objective. If it is, then weigh his past against your future goal, and ask yourself how likely he is to change and how likely you are to wait. And take notice of how you two come together as a couple. Are you simply fitting into his already established life – always going out with his friends, going to his events, or meeting only at his apartment? That can be fun and even flattering at first, but pay attention to his ability and desire to compromise. Is he willing to come meet you some nights and go to your events? Does he consistently refuse to come to your place because it is “out of the way”? If he shifts away from you when you try to discuss your own needs met and seek reciprocity, that might be an indication that this is all much more about him than it is about you. Figuring this out early will give you a good sense of where he is coming from. If he is primarily looking out for himself and not considering what’s best for you, stop overextending yourself and instead consider a relationship with a partner who is more willing to share. The bottom line: You have to be clear about what you want from the get-go. If you are content to enjoy his company and see where it goes, without any guarantees, jump in and have fun. If you are looking for a husband, consider yourself warned and pay attention to the signs. In some ways, it’s the difference between renting and owning a home—you’ll always have a roof over your head but some might want more security than others. If you are looking for that security, you might be better off allowing yourself to simply be flattered by the bachelor’s interest, but still walking away.